Hospital associated pneumonia has become a great concern nowadays. According to WHO, pneumonia acquired from hospitals’ morbidity and mortality rates are staggering high. For those who are not aware, pneumonia that starts in the hospital tends to be more serious than other lung infections. This growing concern is due to several factors. Usually, the infection spreads when patients use respirators – machine for breathing. 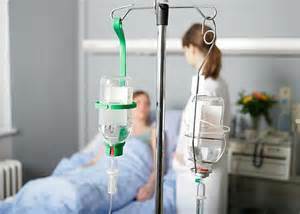 During hospital stay, patients are more vulnerable to germs or viruses since they are not well enough to fit the off. Patients who are more prone to this disease in the hospital are those who had surgeries, chemo therapy (cancer treatment with low immunity), have chronic lung disease, elderly, and alcoholic. Germs are also passed from one health care staff to another through hand contact or clothing. This is why they are required to wear gloves and masks when on duty. There are also other ways to avoid the dreadful disease. The best way to stop the spread of germs is through frequent hand washing, stay at home when sick, and boost immunity. People who need to visit their loved ones in the hospital must make sure that they have taken steps in preventing the spread of germs: bring hand sanitizer, wear masks and gloves, and never bring an infant or child. If you have contact with a person in the hospital, never place your hand from your face. When someone coughs or sneezes, cover your nose and mouth with clean tissue or hanky. Do the same when you sneeze or cough as well. In-patients who are very young and old or very ill at greater risk of such infections. To prevent the spread of germs, get up-to-date vaccination. Ask your doctor about flu and anti-viral vaccinations available. With good preventive measures, you can ensure to have a disease-free life.